Ernest Newman's, perhaps legendary, 1949, "Wagner Operas" (or "Wagner Nights" as some may know it) has once again, been republished - and this time also as a kindle ebook. Extensive, detailed and not without some wit - although nowadays perhaps "old fashioned" in places - Newman's 800 odd page introduction and analysis of Wagners works remains more than a good starting place to investigate their development, sources and influncers. A preview can be found below. Recommended. English Translation - by Stewart Spencer - of Martin Geck's Richard Wagner A Life in Music. One that has been added to our reading list. However, the description below is the publishers, not ours. A review shall follow later, while the interested reader can read from a greatly extended preview by clicking here. Best known for the challenging four-opera cycle The Ring of the Nibelung, Richard Wagner (1813–83) was a conductor, librettist, theater director, and essayist, in addition to being the composer of some of the most enduring operatic works in history, such as The Flying Dutchman, Tannhäuser, and Tristan and Isolde. Though his influence on the development of European music is indisputable, Wagner was also quite outspoken on the politics and culture of his time. His ideas traveled beyond musical circles into philosophy, literature, theater staging, and the visual arts. To befit such a dynamic figure, acclaimed biographer Martin Geck offers here a Wagner biography unlike any other, one that strikes a unique balance between the technical musical aspects of Wagner’s compositions and his overarching understanding of aesthetics. Wagner has always inspired passionate admirers as well as numerous detractors, with the result that he has achieved a mythical stature nearly equal to that of the Valkyries and Viking heroes he popularized. 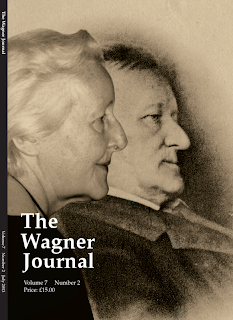 There are few, if any, scholars today who know more about Wagner and his legacy than Geck, who builds upon his extensive research and considerable knowledge as one of the editors of the Complete Works to offer a distinctive appraisal of the composer and the operas. Using a wide range of sources, from contemporary scholars to the composer’s own words, Geck explores key ideas in Wagner’s life and works, while always keeping the music in the foreground. 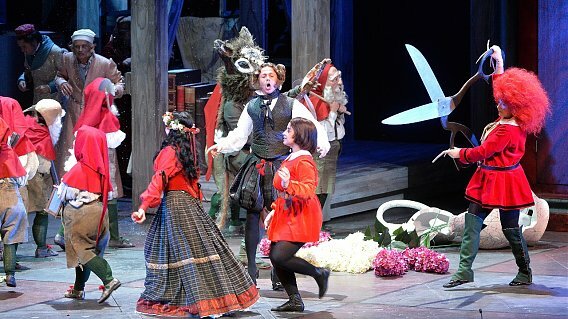 Geck discusses not only all the major operas, but also several unfinished operas and even the composer’s early attempts at quasi-Shakespearean drama. 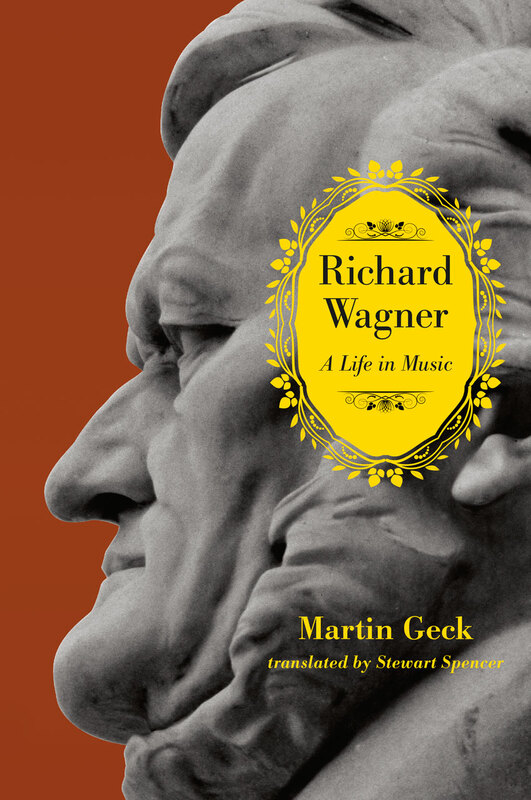 Richard Wagner: A Life in Music is a landmark study of one of music’s most important figures, offering something new to opera enthusiasts, Wagnerians, and anti-Wagnerians alike. 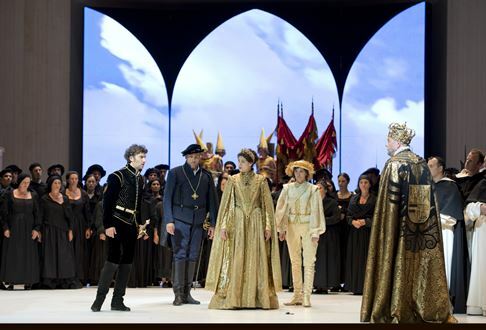 Verdi: Don Carlo – Peter Stein, Antonio Pappano – With Jonas Kaufmann – Salzburg Festival on medici.tv. Now while this should not be assumed as legal advice, a little explanation, in the simplest of terms: under copyright laws (in most countries), sound recordings enter the public domain 50 years after the end of the year their original publication date . So, in most jurisdictions (including the UK/Europe and elsewhere) any recording released on or before December 1962 should be in the public domain as of now. Again, this should not be assumed to be legal advice, changes in Europe are occurring by 2014 and we can only advice you to check with your local copyright laws.See here for an international overview: List of countries' copyright length. This is one of the reasons that you will see multiple companies selling copies of older recordings. Karajan 1952 Bayreuth Tristan und Isolde. 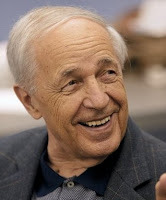 Pierre Boulez has cancelled his two appearances at Lucerne on Sept. 7 and 9. A spokesperson announced that the cancellation was due to Boulez breaking his shoulder. They did not say how the accident occurred or indeed, how long it may leave him unable conduct. Asher Fisch explores the "building blocks" of Siegfried's Funeral March, highlighting Wagner's evocative motifs and inspired instrumentation. Includes footage of Maestro at the piano and conducting full orchestra. Made available by 3Sat. Catch it while you can - it won't stay up for long. It is, as expected, very Stefan Herheim. 'The bicentenary of Wagner will be celebrated throughout the world (albeit with at least one notable exception), wrote the editor of The Wagner Journal, Barry Millington, in a previous editorial. In the July 2013 issue, The Wagner Journal rectifies that omission, with a fascinating article about the Wagner ban in Israel by the Israeli scholar Nâ ama Sheffi, whose book The Ring of Myths has just been republished in English in a revised edition. And a brief glance at the contents of and contributors to this issue again reveals the astonishing worldwide phenomenon that is Wagner". "Castorf is a director who took the money, wanted notoriety and tried to face down a public. I know whose side I'm on. I wish that the Wagner half-sisters, Eva and Katharina, who run Bayreuth, were on that side, too. But after seeing this deliberately incoherent Ring cycle, it is hard to believe they are." "Some will be rightly squeamish about what took place. Booing is nasty and cruel. In Germany, it comes freighted with a dark history, too. It is particularly devastating for singers, who are doing their best, often in difficult circumstances. But Castorf seemed to revel in it, almost as if the audience verdict was a badge of honour or a vindication." "His take on the Ring was ultimately – and perhaps deliberately – incoherent"
"He tried to ignore everything with which Wagner had provided him. 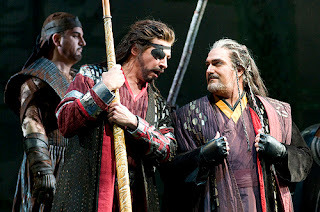 He seemed to say that such an effort was inherently unworthy in the 21st century, and he essentially blew a raspberry at the entire Wagnerian inheritance"
I have spent many years in many opera houses and I have heard booing there many times. I have heard booing, in particular, in German opera houses, places in which the tradition of making your disapproval clear when the curtain falls sometimes seems to be as reflexive and automatic as the volleys of bravos during the most humdrum performance at New York's Metropolitan Opera. But I have never heard booing that matched the loudness and endurance from the outraged audience at this week's Bayreuth festival. 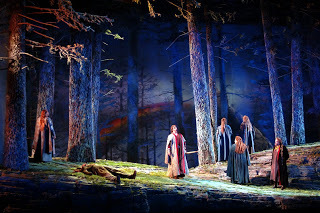 This display of vehement displeasure, at the end of Frank Castorf'sproduction of the Ring cycle, was aimed at the Berlin-based Castorf and his creative team, including set designer Aleksandar Denic and the costumes, lighting and video of Adriana Braga Peretzki, Rainer Casper, Andreas Deinert and Jens Crull. It was not directed at the conductor, Russian-born Kirill Petrenko, who the audience cheered to the rafters. 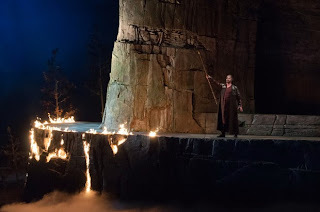 Nor was it aimed at the singers, although Catherine Foster's Brünnhilde was booed earlier in the cycle and at the end of Götterdämmerung.Lance Ryan's Siegfried and Attila Jun's Hagen also received some of the audience's displeasure. 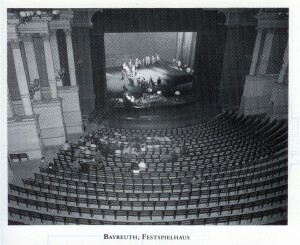 But overwhelmingly, the Bayreuth audience liked what they heard. It was what they saw that they hated. The explosion on Wednesday, after Götterdämmerung, had been building up all week. Castorf and his team did not take curtain calls during the other three operas, so their appearance at the end of the cycle unleashed a pent-up tempest akin to the thunderstorms that explode over Bayreuth in a hot, humid August. Not surprisingly, tempers in a theatre without air conditioning can become very short. And what a storm it was. Wagnerian in renames site The Portillian shock? The Moral Maze is a radio programme on BBC Radio 4, broadcast since 1990. Four regular panellists discuss moral and ethical issues relating to a recent news story. 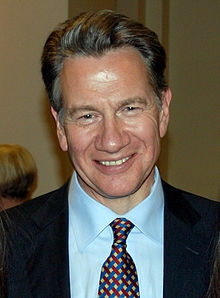 Michael Buerk delivers a preamble launching the topic, then introduces the first witness. The debate is often combative and guest witnesses may be cross-examined aggressively. This weeks question to the house: "Is Wagner’s music morally tainted by his anti-semtism?" Be warned, you may never hear such nonsense, faulty reasoning and sheer fantasy about Wagner in one room and in only 43 minutes. Rick Fulker Concludes His Bayreuth Diary: "This emotion is pure hate." " Because Castorf won't leave, the audience stands up and starts to. I feel queasy." "...it's clearly the public's turn to vocalize. That explains the hyped up emotion of the moment. But this emotion is pure hate." 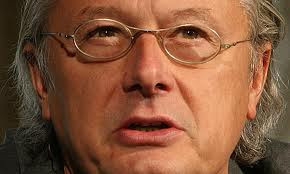 "Bayreuth now has its scandal. And maybe that was the festival directors' goal all along." "Frank Castorf seems to fear nothing but consistency and depth - and maybe the "Ring itself." The stage direction a provocation, the music a revelation - and then there's the requisite scandal, says Rick Fulker. The Castorf-Petrenko "Ring" will fan the flames of discussion for some time. "I've never seen anything like it!" was the comment I heard most often in the auditorium. At the "Ring" in Bayreuth, it's the custom for the stage director to appear before the curtain only after the fourth opera in the tetralogy, "Twilight of the Gods," is over. The moment comes that everyone's been waiting for. Hans Castorf and his team are assailed by the loudest cascade of boos, screams and catcalls ever heard. Castorf smiles mildly - and stays put. Points with his forefinger to his head, as though to say, "Are you all nitwits?" The insult brings the hellish yelling to a further crescendo. Motionless, slightly bent, a supercilious smile: Castorf doesn't budge - even after the curtain opens to let orchestra, chorus, cast and the complete team take their share of the ovations. It's like he's saying, "It's only about me." The fabulous conductor Kirill Petrenko and his musicians have to share boos with the director. For five very long minutes. Because Castorf won't leave, the audience stands up and starts to. I feel queasy. After four days and sixteen hours of Wagnerian singing, it's clearly the public's turn to vocalize. That explains the hyped up emotion of the moment. But this emotion is pure hate. 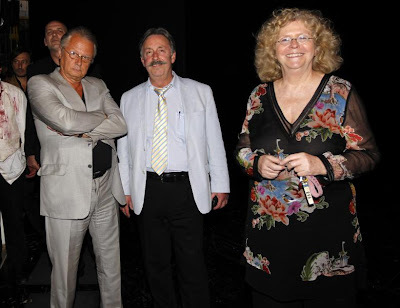 DVD Release Of The Herheim Parsifal From Bayreuth Cancelled! One does wonder about business and management decisions being made at Bayreuth. In 2012 it was announced, to some fanfare, that the highly acclaimed Herheim Parsifal from Bayreuth, would be made available on DVD and Blu-ray in April this year by Opus Arte (owned by the Royal Opera House). This date passed without said appearance or indeed any comment from Opus Arte or Bayreuth. 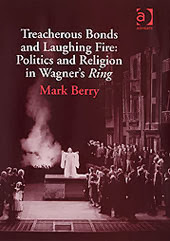 We often receive requests to recommend Rings cycles, Wagner books, etc. For sometime we have considered the best way to try and provide a list of items that we either recommend or we thought might be of some interest - even if they were not necessarily on our "must have list" and occasionally are items we rarely turn to. So far, the best way of us doing this, without taking a great deal of time - was using what Amazon calls its "associates program". In simple terms this allows us to use an amazon API to create a sort of Amazon Wagner "store". However, there is a problem for us in using this. That is that we receive a commission for each item sold. And, as regular readers will be aware we are a none profit site. You see the problem? Nevertheless, it still, for now seems the best way of doing this. Thus readers can click the link below and be sent to our list of suggested Wagner "products". Any product ordered will not be ordered from "The Wagnerian" but from Amazon and thus any enquires about delivery, returns, payment, etc are to be made to Amazon - not us. We make commission on anything you buy and as we are not especially concerned about "making money" recommend that you also look at other sources for anything you are interested in. This is especially so with books and CDs where your local independent retailer may be in more need of your "hard earned cash" than Amazon is. 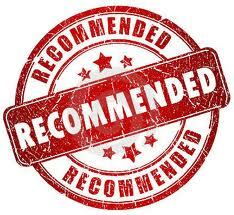 Treat as simply a recommended list and you will probable not go to far wrong. It links to Amazon UK only. We may consider linking to Amazon across the world later. But for now, we stress again, to simply treat it as a recommendation list and shop around. Plus its useful in that it should allow you to sample most music or books before buying. Frank Castorf tells booing Bayreuth audience, "You're mental mate"
Frank Castorf tells audience, "And you know what you can do 'an all"
We are unsure if the audience's response was what set designer, Aleksandar Denic meant when he told Reuters: "I like it if there is a response, that is the biggest compliment to me".